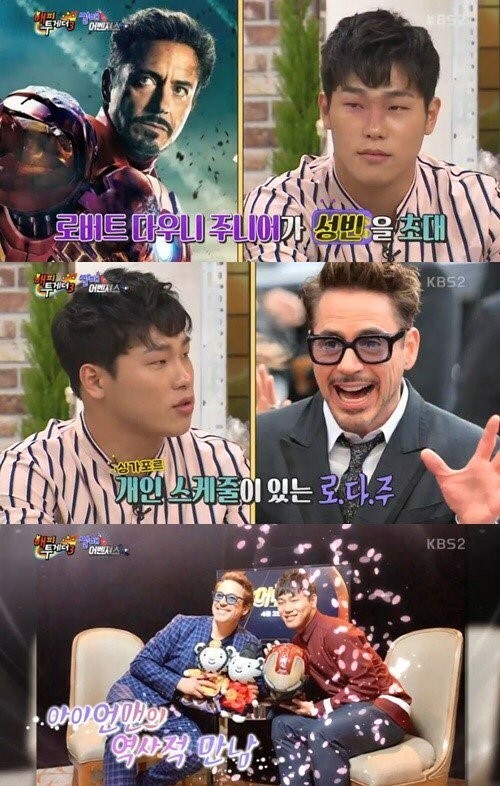 Home TV Show ‘Iron Man’ Robert Downey Jr. invited Yun Sungbin to Singapore? Tonight, ‘Happy Together’ will feature the ‘Sleigh Avengers’ special starring skeleton gold medalist Yun Sungbin and Korean bobsleigh team members Won Yunjong, Kim Donghyun, JunJunglin and Seo Youngwoo. The meeting with his hero did come true after all. The photo that Sungbin took with Robert Downey Jr. will be was unveiled on the show.